What are the Best Android phones to buy in 2018? What are the top 10 smartphones in 2018? The Android market is fiercely competitive. With brands like Google, LG, Samsung, HTC, and Motorola all competing for a share of the pie, it’s no wonder that Android fans are every bit as loyal as Apple fanboys, if not more. But there are a lot of differences between all the smartphones. Do you want the best camera? The best sound/audio? The best value? Here, we’ve compiled a list of the best Android smartphones by category to help make your buying decision even easier. The Samsung Galaxy Note 8 is powered by a Octa-core (4×2.3 GHz & 4×1.7 GHz) – EMEAOcta-core (4×2.35 GHz Kryo & 4×1.9 GHz Kryo) – USA & China CPU processor with 6 GB RAM. The device also has 64/128/256 GB internal storage + microSD (up to 256 GB (dedicated slot)) and a 6.3-inch Super AMOLED capacitive touchscreen (1440 x 2960 pixels, 521 ppi) display. It has a Dual 12MP rear camera and supports Wifi, NFC, GPS, 3G and 4G LTE. It packs in a Non-removable Li-Ion 3300 mAh battery at 8.6mm device thickness and weight 195g, running on Android 7.1.1 (Nougat). microSD) and a 5.8-inch Super AMOLED capacitive touchscreen (1440 x 2960 pixels, 570 ppi) display. It has a 12MP rear camera and supports Wifi, NFC, GPS, 3G and 4G LTE. It packs in a Non-removable Li-Ion 3000 mAh battery at 8mm device thickness and weight 155g, running on Android 7.0 (Nougat). microSD) and a 6.2-inch Super AMOLED capacitive touchscreen (1440 x 2960 pixels, 529 ppi) display. It has a 12MP rear camera and supports Wifi, NFC, GPS, 3G and 4G LTE. It packs in a Non-removable Li-Ion 3500 mAh battery at 8.1mm device thickness and weight 173g, running on Android 7.0 (Nougat).The latest Samsung Galaxy S8 Plus price in Malaysia market is range from RM 3048. The LG V30 is powered by a Octa-core (4×2.45 GHz Kryo & 4×1.9 GHz Kryo) CPU processor with 4 GB RAM / 128 GB, 4 GB RAM – V30+. The device also has 64 GB internal storage + microSD (up to 256 GB (dedicated slot)) and a 6-inch P-OLED capacitive touchscreen (1440 x 2880 pixels, 537 ppi) display. It supports Wifi, NFC, GPS, 3G and 4G LTE. It packs in a Non-removable Li-Po 3300 mAh battery at 7.4mm device thickness and weight 158g, running on Android 7.1.2 (Nougat). The Google Pixel 2 is powered by a Octa-core (4×2.35 GHz Kryo & 4×1.9 GHz Kryo) CPU processor with 4 GB RAM. The device also has 64/128 GB internal storage and a 5-inch AMOLED capacitive touchscreen (1080 x 1920 pixels, 441 ppi) display. It has a 12.2MP rear camera and supports Wifi, NFC, GPS, 3G and 4G LTE. It packs in a Non-removable Li-Ion 2700 mAh battery at 7.8mm device thickness and weight 143g, running on Android 8.0. The Google Pixel 2 XL is powered by a Octa-core (4×2.35 GHz Kryo & 4×1.9 GHz Kryo) CPU processor with 4 GB RAM. The device also has 64/128 GB internal storage and a 6-inch P-OLED capacitive touchscreen (1440 x 2880 pixels, 538 ppi) display. It has a 12.2MP rear camera and supports Wifi, NFC, GPS, 3G and 4G LTE. It packs in a Non-removable Li-Ion 3520 mAh battery at 7.9mm device thickness and weight 175g, running on Android 8.0 (Oreo). microSD) and a 5.7-inch IPS LCD capacitive touchscreen (1440 x 2880 pixels, 564 ppi) display. It supports Wifi, NFC, GPS, 3G and 4G LTE. It packs in a Non-removable Li-Ion 3300 mAh battery at 7.9mm device thickness and weight 163g, running on Android OS, v7.0 (Nougat). The Huawei Mate 10 is powered by a Octa-core (4×2.4 GHz Cortex-A73 & 4×1.8 GHz Cortex-A53) CPU processor with 4 GB RAM. The device also has 64 GB internal storage + microSD (up to 256 GB (uses SIM 2 slot) – dual SIM model only) and a 5.9-inch IPS LCD capacitive touchscreen (1440 , 499 ppi) display. It has a Dual 20 MP +12MP rear camera and supports Wifi, NFC, GPS, 3G and 4G LTE. It packs in a Non-removable Li-Po 4000 mAh battery at 8.2mm device thickness and weight 186g, running on Android 8.0 (Oreo). The Huawei Mate 10 Pro is powered by a Octa-core (4×2.4 GHz Cortex-A73 & 4×1.8 GHz Cortex-A53) CPU processor with 6 GB RAM. The device also has 128 GB internal storage and a 6-inch AMOLED capacitive touchscreen (1080 , 402 ppi) display. It has a Dual 20 MP +12MP rear camera and supports Wifi, NFC, GPS, 3G and 4G LTE. It packs in a Non-removable Li-Po 4000 mAh battery at 7.9mm device thickness and weight 178g, running on Android 8.0 (Oreo). The HTC U11 is powered by a Octa-core (4×2.45 GHz Kryo & 4×1.9 GHz Kryo) CPU processor with 6 GB RAM. The device also has 128 GB internal storage + microSD (up to 256 GB (uses SIM 2 slot) – dual SIM model only) and a 5.5-inch Super LCD5 capacitive touchscreen (1440 x 2560 pixels, 534 ppi) display. It has a 12MP rear camera and supports Wifi, NFC, GPS, 3G and 4G LTE. It packs in a Non-removable Li-Ion 3000 mAh battery at 7.9mm device thickness and weight 169g, running on Android 7.1 (Nougat), planned upgrade to Android 8.0 (Oreo). The HTC U11+ is a high-end Android 8.0 phone with top-of-the-line specs and outstanding design features. It also happens to be the company’s first phone with a taller, 18:9 display capable of displaying HDR10 content. Further perks include water resistance, a huge battery, and a pair of active noise-cancelling earphones in the box. All of that is topped by a fast, Snapdragon 835 chip and plenty of memory tucked inside a highly reflective body made of glass and metal. For those who find the idea neat, a variant of the phone with a translucent back plate is also available. The Huawei P10 is powered by a Octa-core (4×2.4 GHz Cortex-A73 & 4×1.8 GHz Cortex-A53) CPU processor with 4 GB RAM. The device also has 64 GB internal storage + microSD (up to 256 GB (uses SIM 2 slot)) and a 5.1-inch IPS-NEO LCD capacitive touchscreen (1080 x 1920 pixels, 432 ppi) display. It has a Dual 20 MP + 12MP rear camera and supports Wifi, NFC, GPS, 3G and 4G LTE. It packs in a Non-removable Li-Ion 3200 mAh battery at 7mm device thickness and weight 145g, running on Android 7.0 (Nougat). The Huawei P10 Plus is powered by a Octa-core (4×2.4 GHz Cortex-A73 & 4×1.8 GHz Cortex-A53) CPU processor with 6 GB RAM. The device also has 128 GB internal storage + microSD (up to 256 GB (uses SIM 2 slot)) and a 5.5-inch IPS-NEO LCD capacitive touchscreen (1440 x 2560 pixels, 540 ppi) display. It has a Dual 20 MP + 12MP rear camera and supports Wifi, NFC, GPS, 3G and 4G LTE. It packs in a Non-removable Li-Ion 3750 mAh battery at 7mm device thickness and weight 165g, running on Android 7.0 (Nougat). The Sony Xperia XZ Premium is powered by a Octa-core (4×2.45 GHz Kryo & 4×1.9 GHz Kryo) CPU processor with 4 GB RAM. The device also has 64 GB internal storage + microSD (up to 256 GB (dedicated slot)) and a 5.46-inch IPS LCD capacitive touchscreen (3840 x 2160 pixels, 807 ppi) display. It has a 19MP rear camera and supports Wifi, NFC, GPS, 3G and 4G LTE. It packs in a Non-removable Li-Ion 3230 mAh battery at 7.9mm device thickness and weight 195g, running on Android 7.1 (Nougat). The OnePlus 5 is powered by a Octa-core (4×2.45 GHz Kryo & 4×1.9 GHz Kryo) CPU processor with 6 GB RAM or 128 GB, 8 GB RAM. The device also has 64 GB internal storage and a 5.5-inch Optic AMOLED capacitive touchscreen (1080 x 1920 pixels, 401 ppi) display. It has a Dual 16 MP, f/1.7, 24mm, EIS (gyro) + 20MP rear camera and supports Wifi, NFC, GPS, 3G and 4G LTE. It packs in a Non-removable Li-Po 3300 mAh battery at 7.3mm device thickness and weight 153g, running on Android 7.1.1 (Nougat). Hope it helps. 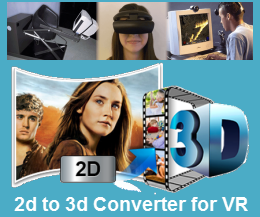 And Android Video Converter helps convert and put videos like MTS, MXF, MKV, AVI, MOV, MP4, M2TS, FLV, VOB, etc into Android phones for playing. Android Data Recovery helps to recover lost data like SMS, photos, text messages, contacts, videos, apps, etc from Android phones.